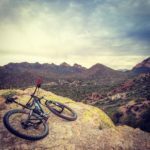 If you like epics, Chad Brown has chronicled the top 10 places to visit in AZ (on your bike of course). The pictures alone will make you want to get here. 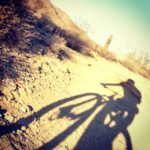 A great thread popped up on MTBR asking all to rate the difficulty level of the trails in the valley. I think it’s a good place to get a feel for what to ride if you are visiting. Take note that this is MTBR posters collectively rating the trails. They (we) tend to give trails easy Green levels, when in fact a real beginner would think it tough. Case in point. If you are a beginner, do not go off and ride the Long Loop at the Estrellas… it may be Green but it’s long, remote, and has more than beginner sized rocks. 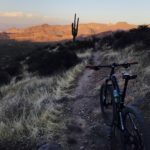 I’ll be in Mesa for Christmas and wanted to check out Hawes trail system. But I am a trail runner. Is running allowed on those trails? Thanks. Greetings from Northern Minnesota. Today’s high – a balmy -4 F. Had a low last night of -22. It’s not bad when it’s a bluebird day and no wind – which really means we are all in denial about our weather up here. My wife and 20 year old daughter will be in the Mesa/Scottsdale area last week of March 2014 (March 23-30). I’d like advice on a couple things. 1. 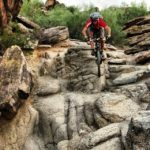 Best location for lodging relative to ease of hopping on our Mountain Bikes and pounding down some miles. In other words, since we will be renting a car and bikes, would like to limit running around the valley to some degree – but clearly will drive to ride. Second, we like long distance rides – single track is fine but prefer tote roads, USFS roads, two tracks, etc. 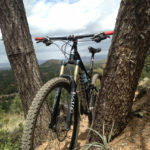 We ride 29ers and 20-80 mile routes work for us…..and we like hill climbs. And three, too expensive to ships our bikes so we will rent. Any recommendations. We will bring our pedals, shoes, helmets etc. I am visiting for a few months and would like to try the Hawes trail. I did not bring my mountain bike but have a Trek multitrack. Are there some tails I could try with this bike. Another thing is I am looking for a group ride either on or off ride. Coming south for a few days of warmth, wanting to ride around Yuma. However, I’m not hearing about too much in the way of trails down there. 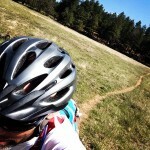 I now about Laguna Mtns and Sugarloaf – anyone know if there’s anything else? I’m in town for business till sunday morning. I need to get some riding in. I usually average about 10 hours a week, I like technical trail, and I’m not afraid of climbing. 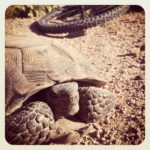 I need to rent or borrow a bike so I can get some miles in, I’l be bringing my pedals, shoes, camelback, and kit. So I’ll be marginally prepared. 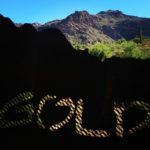 Will look u up next time I come to Phoenix area. Off to Florida to ride Santos trail this weekend. not nearly as beautiful as the desert but i beats the trail in Michigan in Jan. Thanks Greg. 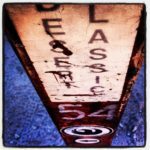 I love hearing from riders in the winter time. Glad I can be your virtual ride while you are stuck on a trainer. Glad to know I have a friend in Michigan! Let me know when you are in AZ again and we’ll ride. 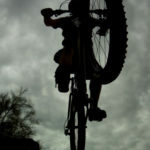 Just wanted to say thanks> Great to see you are riding and posting on your site. I ride and race here in Michigan and have been out to Arizona 6 times in the past 7 years. Hit a couple of AZSFs. 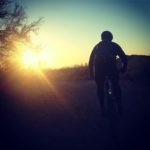 Your information has been the best source for riding in the Phoenix area… I have been a fan of your site for a long time>> Really helps me get through winter here seeing the places you ride. If youever want to bike in Michigan and a place to stay you have a friend. Keep it up!!! Hey Mike… a buddy of mine pointed me to your site. I’ve got a buddy sailing from Florida to Australia and he’s going to be documenting the whole thing. He wants to upload daily maps, and I’m helping him figure out how to do that. Yours look really nice so I was wondering if you could share your setup and process. Appreciate it!! One more rid eh? 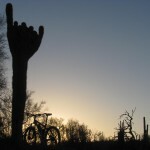 One of the best little singletrack secrets is the Alamo Canyon section of the AZ Trail. It starts at the Picketpost TH just west of Superior off the US 60. It’s an 11 mile out-n-back that is amazing. I’ve done 5 miles of the out-n-back and it was gorgeous riding. 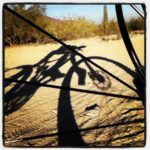 Another option is the Black Canyon Trail. I still gave not ridden it yet, but I hear it is the greatest trail on earth. Beautiful flowing singletrack. 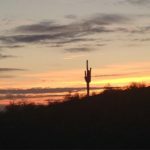 Start at Table Mesa TH and head North to Black Canyon City or start at Black Canyon City and head south. There are other options too, heading north from Black Canyon City to Bumblebee. I just haven’t ridden it so I can’t recommend the best route. Either of these and you will have a great day with great views.